Tips from a Finance Professional. Why a Cloud-Based Accounting System Makes Sense for a Small Business. 1 – Remote access to real-time data for management in different locations. Updated Results: To quote Intuit, “Your whole business. In sync everywhere”. We are almost one year into the online system and in my opinion; access to real-time reporting anywhere, anytime, anyplace is the best feature. 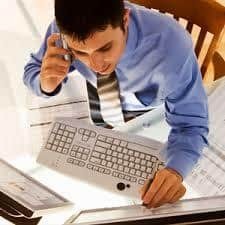 Regularly reviewing the numerous reports with finance and management, including a balance sheet, profit and loss statement, accounts receivable aging, accounts payable aging, revenue by product, balance of paid time off remaining, etc., has been very helpful in fully understanding our financial picture. New tip: Data available at your fingertips is only as good as the data entry process. Scheduling frequent reviews, at least monthly, will keep the data accurate and will allow invaluable insight into your business. 2 – Ability to upload daily online banking and PayPal transactions with a simple keystroke. With two simple keystrokes, I am quickly connected to our bank and within seconds, banking transactions and hundreds of PayPal transactions are automatically downloaded. At the same time, QuickBooks categorizes them based on historical referencing and allows you to accept, exclude or categorize them yourself. In the past, each one would have required a journal entry or at least, a consolidated entry without any supporting detail. I now have a complete real-time snapshot of our business and cash-on-hand before my second cup of coffee. Don’t be afraid to hook up this time saving feature. 3 – Store all our records in one place. I wanted to attach files (word, excel, pdf, etc.) to vendor records, invoices and journal entries. Ultimately, I wanted the business to be organized all in one place. Updated Results: I am still in love with this feature. I may be attachment happy BUT, frankly, being able to drill down into a record, have all the invoices and other supporting materials attached is an organizational life and time saver – everything is in one place, organized and searchable. Speaking for our management team, I know they also appreciate having access to details without having to request backup from the accounting department. Very efficient and another example of huge time savings. One request, I would make of Intuit; add additional storage within the system to keep company spreadsheets and documents not necessarily related to a transaction. I’m adding it to my wish list for 2014. 4 – Data to be backed up automatically. Updated Results: Despite suffering a couple outages which prohibited access to the online interface, I still don’t even blink twice when it comes to knowing that my data is safe, secure and backed up. On the flip side, not having access to my data when I wanted it was frustrating. This is probably the greatest drawback of “accounting in the cloud”. I depend on having access to my data. The outages lasted 20 minutes to 2 hours. Intuit was very communicative and responsive which I appreciated but thank goodness I wasn’t on a deadline. Final Tip: Don’t hesitate to use QuickBooks Online free technical support via email, live chat, phone and support directly on Intuit’s website. They are the experts and can be immense time-savers. Here’s a quick infographic taken directly from Intuit’s website on their users favorite features and the applicable time savings. As a user, online access anytime, anywhere, by far is my favorite feature. What are yours?